To take advantage of Chase Sapphire Preferred’s lucrative offer of 3x points on dining on the first Friday of every month, we regularly round up the best in food and drink. 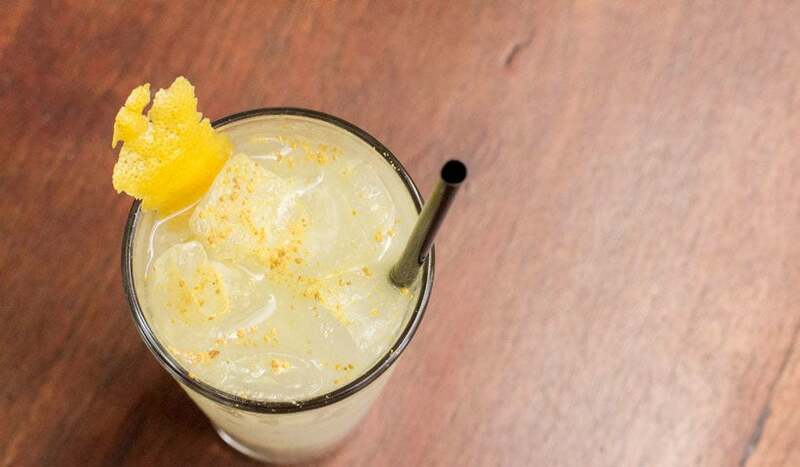 With today (hopefully) marking the end of the workweek, TPG Contributor Michele Herrmann has scoped out restaurants and bars that are serving up innovative happy hours, letting you enjoy high-end food and drinks at lower prices. After clocking out, head on over to one of these 10 places — and several bonus spots, as well! This Downtown LA bar and restaurant features farm-to-table food and rustic-chic decor. From Monday-Friday, 4:30 to 6:30 pm, enjoy the $3 pink eggs and ham (soaked in beet juice for color), $4 BBQ spiced steak fries and $7 fried chicken sliders. Drink deals include $5 for well cocktails, house wines, drafts, margaritas and sangrias. Also consider: EMC Seafood and Raw Bar. 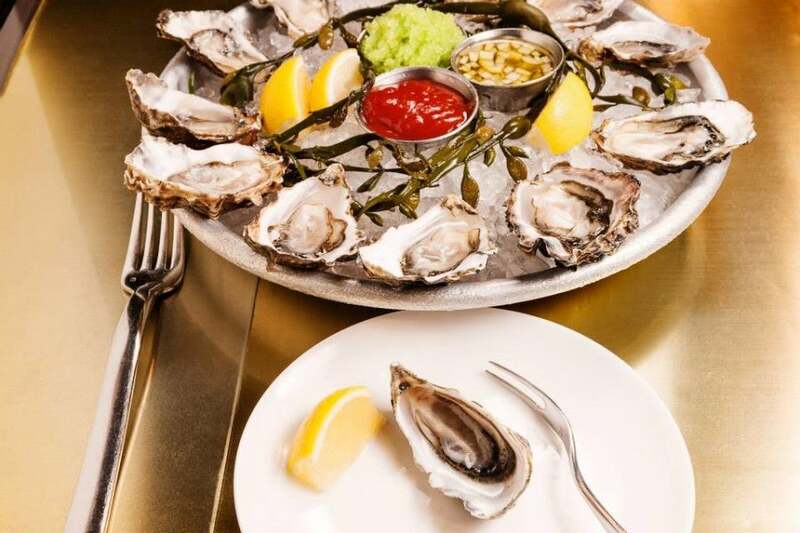 In LA’s Koreatown (or K-Town, in local parlance), snack on $1 oysters and $5 house wine or drafts during regular happy hour, 4 to 7 pm daily, or come for the late-night Sunday-Thursday specials from 10pm to closing time. 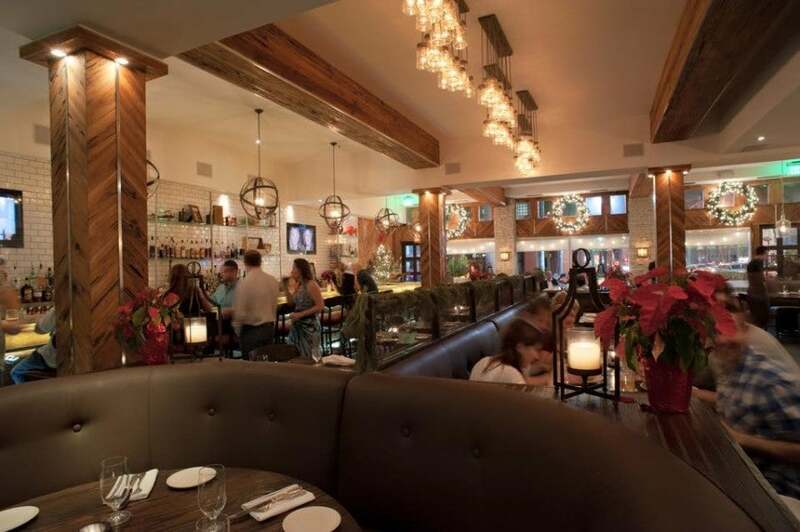 The oyster, chowder and fish-taco happy hour at this NoPa place is a pretty popular scene Tuesdays through Sundays. Though the menu rotates, the $1 Herb & Jalapeno marinated mussels and the two-for-$10 rock cod tacos graced with cotija cheese are hands-down picks. Pair these seafoody delights with $4 beers or $6 wines. Also consider: Mission Rock Resort. Perched right over the Bay, the Monday-Friday happy hours at this venue serve up 99-cent oysters paired with $5 draft beers, a $7 house wine and $7 cocktails. Why a cheese shop? 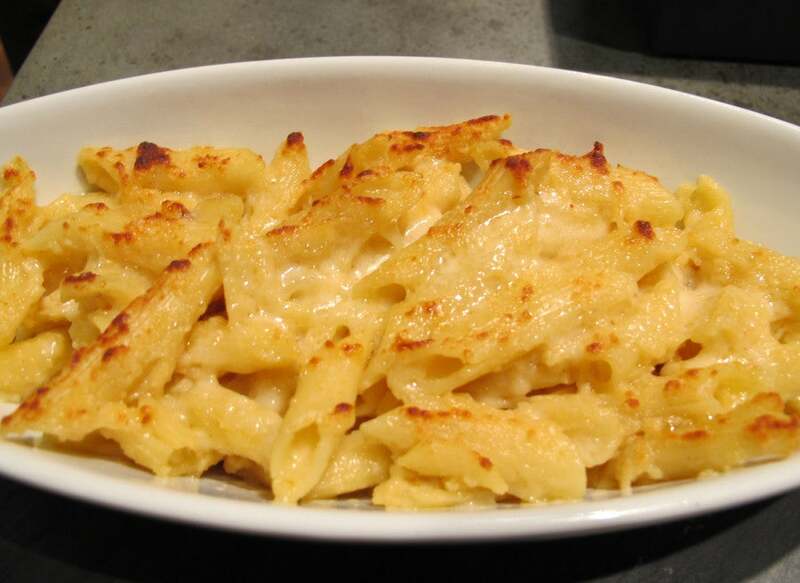 Well, from 3-7 pm daily, this Flatiron eatery’s 21-and-over restaurant offers a hearty $8 portion of its self-titled “World’s Best Mac and Cheese” to partake in, along with a $8 cheese plate or $7 Caesar or simple salad. Order them alongside a $6 glass or the house red or wine or $5 bartender’s choice infused cocktail. Also consider: Fonda. Depending on which location you visit — Chelsea, East Village or Park Slope — the $6 and $8 happy hour food menus offers good deals on dishes including sopes and stuffed tortillas. Margaritas will set you back about $8 or so. 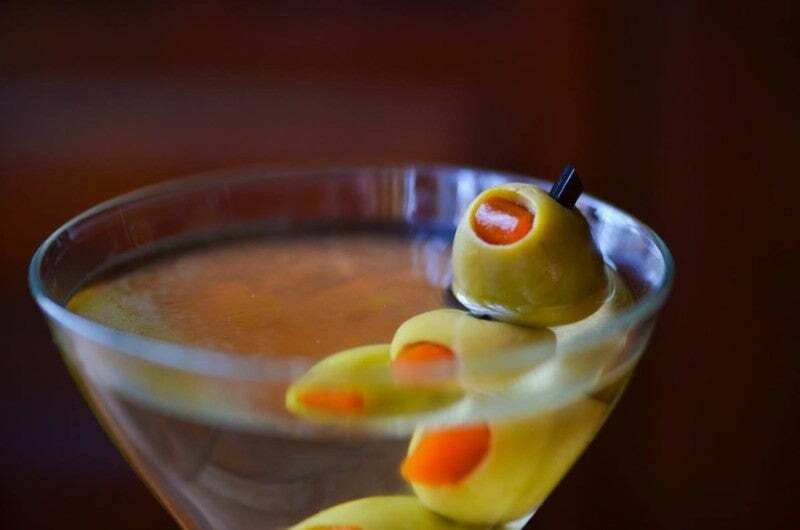 Not too far from Rittenhouse Square, this venue offers a longer-than-usual happy hour; Tuesday to Friday, 4:30-7 pm. That gives you more time for sipping on $4 beers, $6 house wines or $5 bartender’s choice cocktails or grazing on a $5 cheeseburger. Now until September 2, a Wednesday SIPS special (5-7 pm) offers everything from $4 apps to $3 brews. Also consider: The Fat Ham. This Southern spot in University City serves up regional snacks such as hush puppies and hot chicken sliders, with cocktails at $6 and beers ranging from $2 High Life to $4 featured drafts. 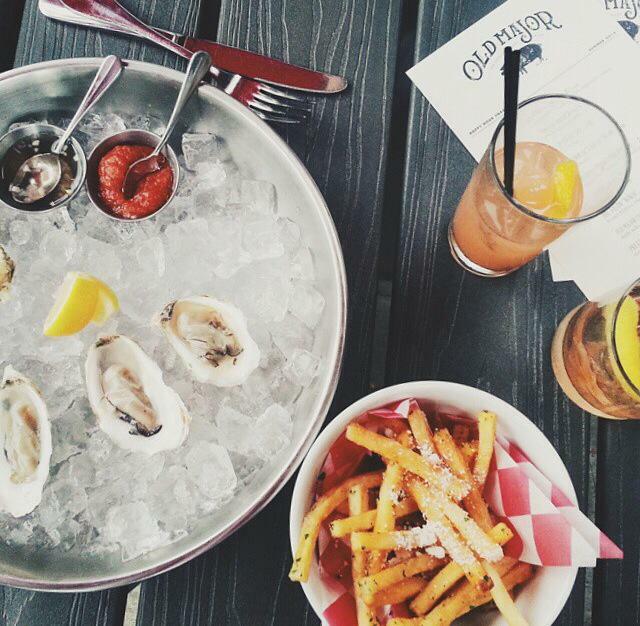 At this Southside Dupont eatery, the daily “Off the Hook Happy Hour” is all about seafood. Themed pairings include fish tacos for $2 each on Margarita Mondays; oyster sliders for $6 each with $9 martinis on Tuesdays; and Belgian mussels and homemade frites for $8 on Thursdays. 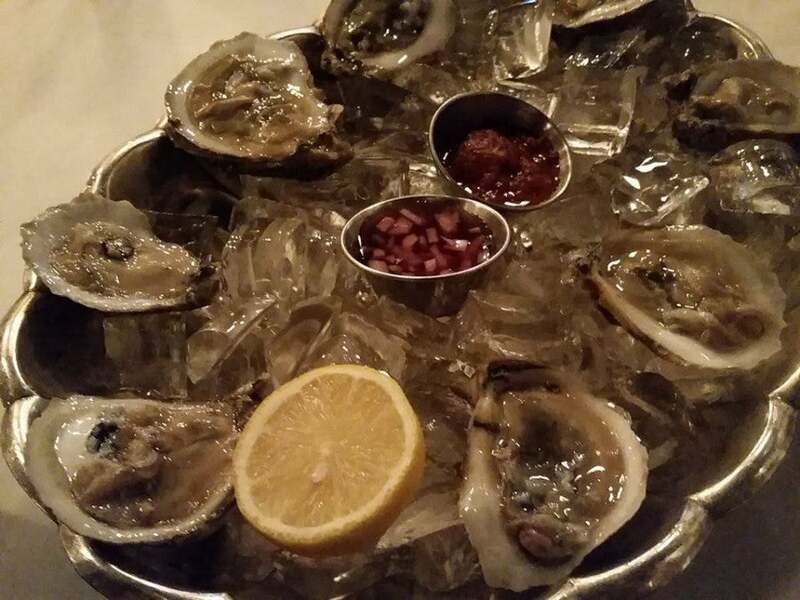 Or just have oysters on the half shell for a buck each! Also consider: The Pig. This Logan Circle joint’s happy hour focuses more on bourbon than beer with a rotating list of whiskeys. Consider exploring all of what’s on the menu with the $8 bourbon flight deal, or try some rye with a flight special of four for $20. 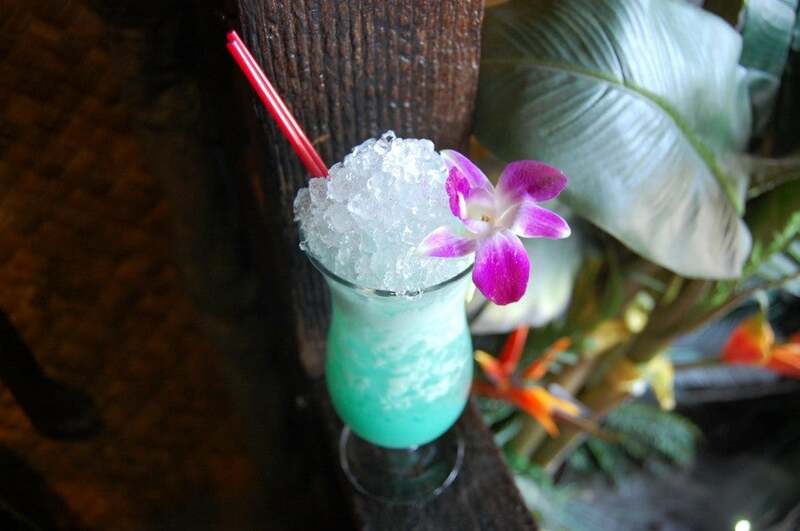 This Tiki bar in Grant Park appears to really put the “happy” in happy hour with some neat food and drinks specials with a setting that drifts you away wherever you came from. Daily from 5-6 pm, you can enjoy eight icy, island-style cocktails at $6 each including Passion Fruit Batida with cachaça and dishes including the house specialty: grilled Hawaiian bread. Also consider: The Box Social. This neighborhood bar in North Portland has a daily happy hour and a late-night run from Sunday through Thursday from 11pm to closing. Get snacks, soups and spreads running about $2 to $6 with short ($4) or tall ($6) pour cocktails, including whiskey and ginger brews. 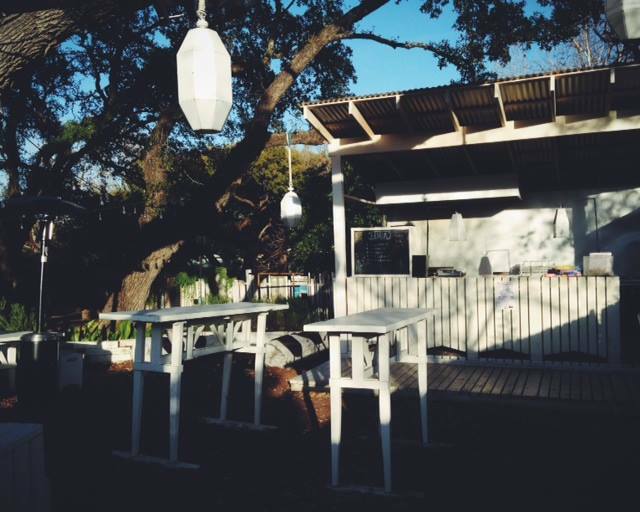 During warmer weather, this South Austin place has been taking its happy hour outdoors into the wine garden area. From 5-7pm on Tuesday through Saturday, there are complimentary bar snacks, including shishito peppers and spiced nuts, and half-off punch. On Thursdays, the place has half-off bottles of Pinot all night. Also consider: Uchi (South Austin) and Uchiko (Rosedale). These sister restaurants both offer a sake social hour daily from 5-6:30pm, featuring discounted sushi rolls (at $6) and specialty dishes including nigiri. This Highland magnet has turned happy hour (3-6pm on Monday through Friday and 4pm-6pm on Saturday and Sunday) into sort of a high-end affair, with a menu highlighting sustainable seafood and heritage-raised meats. Spring 2015 snacks include a $5 sausage plate, $2 oysters and $7 pizzas. Classic cocktails range from the Moscow Mule to the Paloma. Also consider: Work & Class. For those who don’t want any fuss, check out this Northwest place, which refers to its Tuesday-Sunday (from 4-6pm) happy hour as a “Work Release Program.” Try the chicken and gravy biscuit sandwiches or the green chile cheese fries, and pick from a selection of drafts at $3, house wines at $4, cocktails at $6 and Utica Club cans at $2. Drinks aside, the extensive happy hour food menu (offered daily from 4-6pm and 10pm-1am) at this wildly popular Creole/Cajun Queen Anne establishment makes it worthwhile to brave the crowds. More than 50 (yes, 50) preparations in the $4-$10 price range can make choosing between salads, sliders, sides, and seafood dishes tricky — and be warned: They have a one-check-per-group policy here. Also consider: Barrio Mexican Kitchen on Capitol Hill, which offers what’s known as “The Triple T,” featuring a can of Tecate can, Casa Pacific tequila, and one taco combo for $10. Or get high-end tacos for $3.50, mini-enchiladas for $5 or sides like grilled corn for $4. There’s a daily happy hour from 3-6pm, as well as a late-night encore which runs from 1opm-12am Monday through Thursday; 11pm-1am on Friday and Saturday; and 10pm-11pm on Sunday. There are a number of ways to enjoy happy hour at this Miami Beach venue, and luckily you have plenty of time to do it (it runs from 4pm till close daily). The most unique option is the family combo meal, and there are also $8 bar snacks including a fancy poutine with braised brisket, and $5 wings. 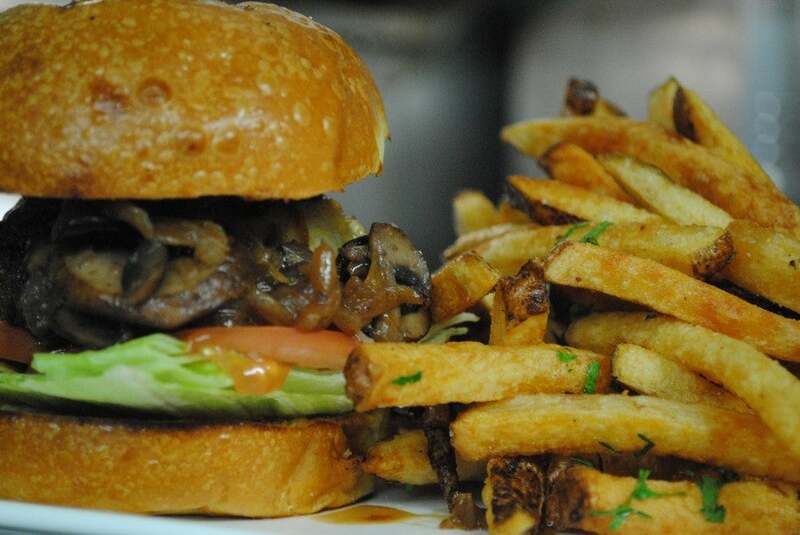 Pair them with craft beers on tap ($5) or can ($6) or cocktails for $8. Also consider: Mignonette. From 5:30-7pm on Monday through Friday, this Edgewater oyster bar/seafood haven knocks out $2 lobster deviled eggs and various seafood-on-toast options ($9) among other fine fishy treats, plus $4 beers and $7 wines.